Only install one 2? Clutch Plate. 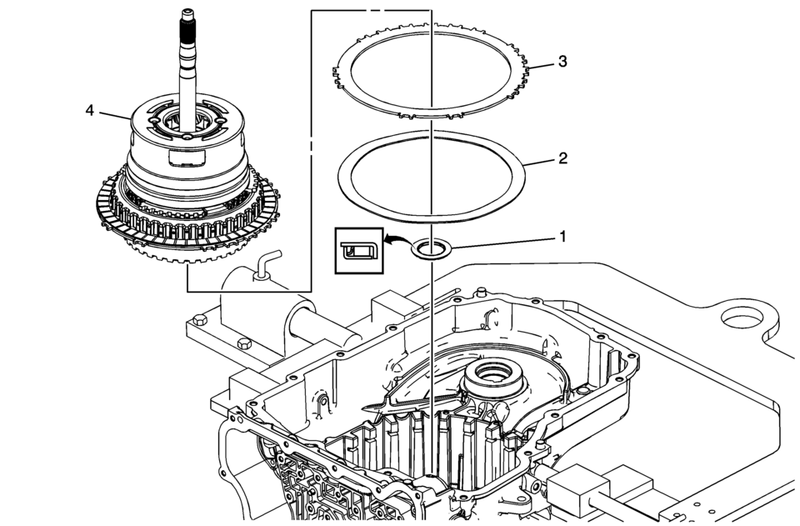 The remaining clutch plate is installed with the gearset assembly. Align the large flat areas with the valve body end of the case and the 2 tabs on the clutch plate that are close to each other with the slots at the bottom right corner of the case. Align the large flat areas of the 2? Clutch Plate with the valve body end of the case and the 2 tabs on the clutch plate that are close to each other with the slots at the bottom right corner of the case.